A couple of days ago I was planning to make some potstickers for dinner and needed a good wine to pair with the dish. Posting the question on Twitter, I was soon overwhelmed with recommendations of different South African Riesling producers. Riesling…. this grape varietal I have been avoiding for most of my wine drinking life. Grabbing a Hartenberg 2010 Riesling from the local Tops and was quite surprised on how good it was! More scientific research was needed! So a couple of mates and I pooled together and sourced 6 of SA’s high rated Rieslings from Darling, Stellenbosch, Robertson and Elgin wine producers. 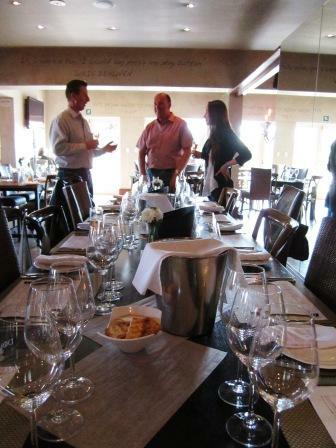 The tasting was held at the Jenna Viva restaurant in Somerset West. In the past, Rieslings confused me. Labels read, Cape Riesling, Weisser Riesling, Paarl Riesling or Rhine Riesling. Cape or Paarl Rieslings are in actual fact NOT Rieslings at all, but a rare French grape varietal, called Crouchen Blanc whereas the Rhine or Weisser Rieslings were the TRUE Rieslings which originated from Germany. Today the labelling regulations have changed and true Rieslings are only labelled under the name Riesling. Riesling is a diverse grape type and a wine maker can make dry, semi-sweet or even sparkling wines from it. The character of Riesling includes a perfumed, floral notes with a negotiable higher acidity. It is also very terroir expressive, showing a lot of character from where the vineyard is situated. One of the most interesting notes that came up from the tasting is how well Rieslings can age. The wine’s high acidity keeps the wine fruity fresh as the secondary character comes forth. On another note Riesling can also possess a petroleum or diesel like character. Might this in fact give the wine more character or perceived a negative quality is left to the wine drinkers own judgement. Of the five Rieslings and one NLH Riesling that we have tasted the two highest scoring wines of the evening were the Rietvallei Rhine Riesling 2008 as the best value Riesling with the best fruit and acid balance as well as the Jordan Real McCoy 2010 as the most solid representation of South African Riesling. The Rietvallei is available at a steal from Mooiberge Farm Stall at R35.00 a bottle and the Jordan Real McCoy at R74.00 a bottle from the farm. Summer is around the corner and that means visiting winefarms becomes a fun outdoor event! A short drive up the Jonkershoek Valley in Stellenbosch led me to the Oude Nectar Farm, home of Stark-Condé Wines. 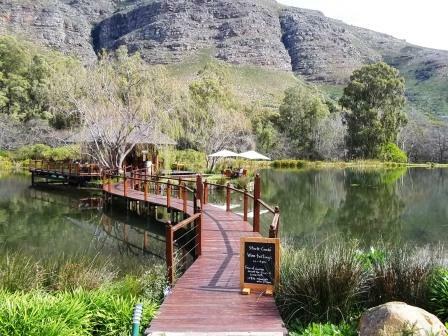 Here I had the pleasure of experiencing a delightfully wine tasting at their “floating” tasting room, which is situated on a dam with breathtaking views of the Jonkershoek mountains. We all know a view alone does not make a wine and Stark-Condé produces three ranges of wines all of exceptional quality that will fit most wine drinkers budgets. The Pepin Condé range of wines are all wonderfully fresh and fruity and a bona fide steal at under a R100.00 a bottle! 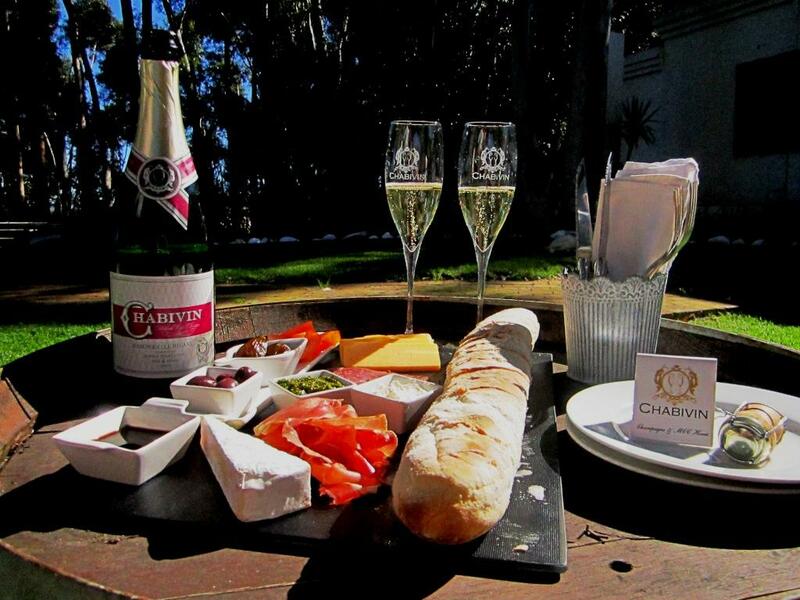 The range includes a Chenin Blanc, Sauvignon Blanc, Pinot Noir and a Cabernet Sauvginon. 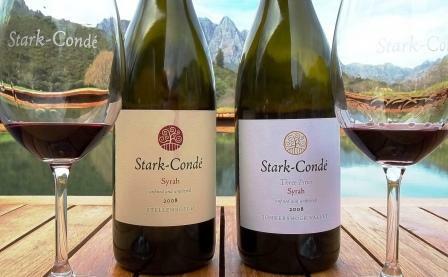 The Stark-Condé range – Unfiltered and unfined, the Cabernet and Syrah are both juicy and full-bodied. The Syrah in particular was savoury with a smoky bacon like character. R125.00 per bottle each. The Three Pines range also consists of an unfiltered and unfined Syrah and Cabernet, but these wines are made from the best blocks of vines situated high up on the farm with mostly granite and clay based soils. The wines are rich with concentrated fruit flavours. Both the Cabernet and the Syrah are sold at R240.00 per bottle. Great value for exceptional wines tasted in a stunning part of Stellenbosch. I would recommend visiting the farm to enjoy their wines. I will definitely be back next time to for lunch at the Postcard Café and a glass of Stark-Condé Wines! Since I have done the Brandy Tasting at Van Ryn’s, I wanted to explore more of South Africa’s spirit industry; so when I saw the advert on WineTimes that The Bergkelder will be conducting a whisky tasting, I wasted no time to book my place. 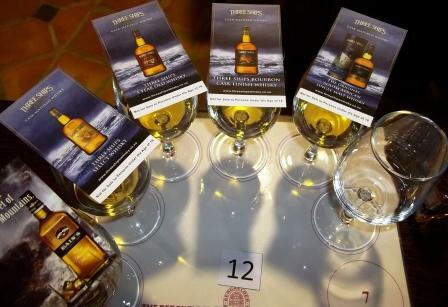 The whiskies that we tasted (Bain’s Mountain whisky and the Three Ships range) where produced at the James Sedgwick Distillery which, just like Bergkelder, is part of the Distell Group. R60.00 got me in and on arrival we received a friendly greeting from Bergkelder’s Brand Manager, Colin Bridger as well as a delightful whisky cocktail. Andy Watts, master distiller, conducted the whisky tasting. In 1991 he became the manager and master distiller at the James Sedgwick Distillery in Wellington, only the 6th manager since the distillery was established in 1886! South Africa is the 5th largest consumer of Scotch whisky in the world. Until the mid 1980’s 95% of all Scotch grain whiskies were made from South African maize. The first whisky in South Africa was produced in Pretoria in 1893 by Alois Hugo Nellmapius. During the Anglo Boer War, whisky production was stopped in 1899. The next commercial whisky was only produced in Paarl 53 years later in 1952 called Tops. The James Sedgwick Distillery is named after James Sedgwick an English captain that arrived at the Cape in 1850. It is proudly South Africa’s first single grain whisky; released in 2009 it is a little bit sweeter than the other whiskies. Matured for a minimum of 5 years; it was stored in 1st fill Bourbon casks for 3 years, removed and then oaked again for another 2 years in 1st fill Bourbon casks. This allows the spirit to obtain a vanilla and spicy character. Gold medal winner at the 2010 International Wine and Spirits Competition. Launched in 1977, Three Ships select is a blend between South African and Scottish grain and malt whiskies and is the 7th largest whisky in South Africa per volume. Launched in 1991, this whisky is much more robust and peaty than the rest. Just like the Three Ships Select, this whisky is also blended from South African and Scotch malt and grain whiskies. The taste Walks a similar path to a certain “Black Label” only at a fraction of the cost. Released in 2005, it is the first 100% South African blended whisky. The malt and the grain is produced and distilled in South Africa. Matured for 3 years, the whisky is allowed to “marry” for a further 6 months in Bourbon casks, which will allow a slight sweet and vanilla character to develop in the whisky. After the tasting we were treated to some delicious soup, breads and pates. I am proud to say that South Africa doesn’t just produce excellent wines, but also world-class spirits. 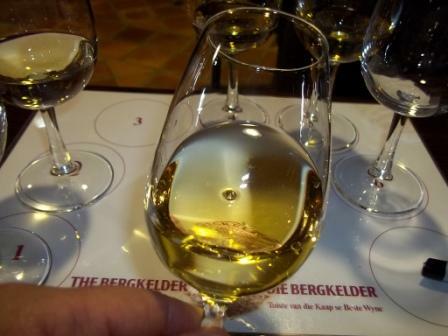 Be sure to give The Bergkelder a call for more information about their monthly tastings. 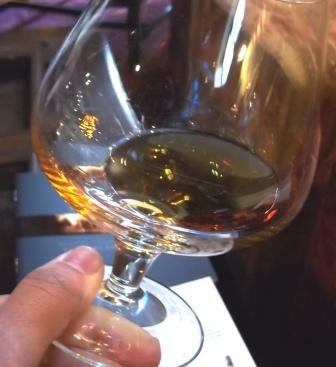 I took part in a tasting of a different kind: Brandy! Brandy or Brandwyn / Brandewijn refer to “burnt wine” and is a spirit produced from the distillation of wine. To learn more of this wonderful spirit I travelled to the Van Ryn’s Distillery situated on the R310 close to Stellenbosch. The Van Ryn’s Brandy Distillery was built in 1905 from rocks collected on the banks of the Eerste River and some of these original walls can still be seen today. The beautiful courtyard led me to the main building and immediately the air or sophistication befell me with exquisite antiques and ethereal atmosphere and fitting chamber music playing softly in the background. I took part in the tour of the distillery and I was led through the process of brandy production. Van Ryn Brandies are produced from selected Chenin Blanc and Colombar grapes sourced from the Western Cape. These grapes are picked slightly earlier as to contain a higher fruit acid and a lower sugar level to ensure that the brandy will still contain vibrant fruit flavours and aromatics. The grapes are de-stemmed and crushed and a light wine is produced without any added sulfur. South African Brandies are of very hight quality; it is made in almost the exact same way as in Cognac. The light wine is then distilled in copper pots. Water and alcohol have different temperatures at which they vapourise. At approximately 78°C the alcohol and aromatics will vapourise, it is then trapped and allowed to condensate. 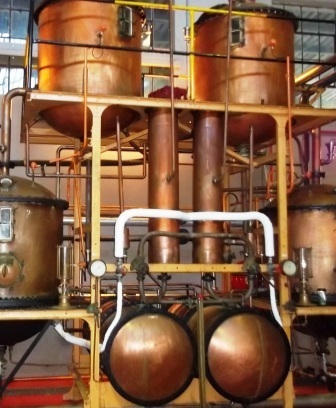 After the first 15 – 20 minutes of boiling the first of the distillate will be captured. This is called the head and has a bitter and unpleasant taste. After 4 – 6 hours the heart of the distillate is captured which has the best character and is also considered the soul of the brandy. After 6 hours the last of the distillate will be captured. The tails is of a lower quality than the heart and is combined with the heads that can be mixed with the second batch of low wine that will be distilled. The brandy made from the 1st distillation is called the low wine and contains an alcohol percentage of 30% per volume. The low wine then undergoes a second fermentation that will then yield a brandy of approximately 70% alcohol per volume and contains a more concentrated flavour. The brandy is then allowed to matured in small French oak barrels. We were treated with a display from an experienced cooper who showed us the tools of their trade. A demonstration included on how they would strip a layer of wood, shaped and then constructed into an open barrel. The barrels will be then toasted over a flame that will allow the brandy to extract the toast and tobacco flavours from the wood before it is sealed by the unique rhythmic tapping of the cooper’s hammer. As we entered the maturation cellar a wonderful aroma of ripe fruit and nuts filled the air and was explained as the “Angels Share” which is the evaporation of the brandy through wood. Please no flash photography, we don’t want to cause an explosion in our maturation cellar. We were not allowed to take any photos due to the high alcohol fumes in the air. It could even be the fact that flashes of light might stir the brandy from their slumber. Everything plays a role in the maturation cellar, from the location of the barrel, the temperature even the humidity. By law, brandy must be a minimum of 3 years old before it can be classified as a brandy. 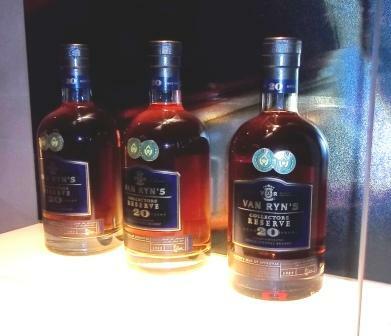 The youngest brandy at Van Ryn’s Distillery, is 5 years old but they also produce a 10, 12, 15 and 20 year old brandy. During the maturation period the brandies are blended by a master blender to ensure that Van Ryn’s Brandies are of highest quality. After the tour I tasted the 10 Year Old Vintage Brandy as well as the 12 Year Old Distillers Reserve Brandy. The amber gold liquid had wonderful aromas and reminded of pears and almonds. The taste was warm and smooth with a dried fruit taste and lingering tobacco aftertaste. The 12 Year Old Distillers Reserve being the smoother and more complex of the two that I have tasted. I propose a toast to the masters that are Van Ryn’s for blessing us with such a high quality South African Brandy that has won numerous accolades around the world for this wonderful elixir that is produced right outside our doorstep in Stellenbosch! 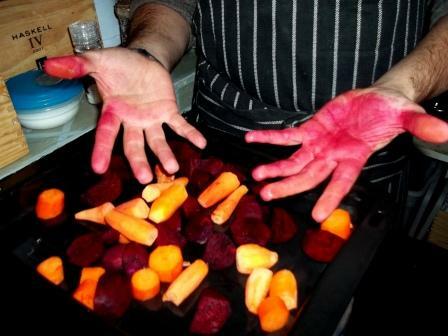 I like to experiment a bit in the kitchen and challenge myself with new recipes. 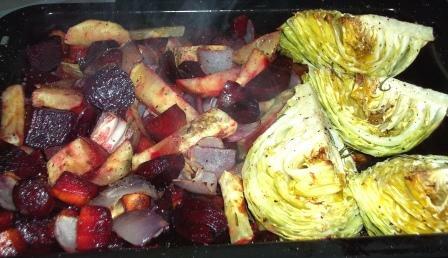 Now roasting vegetables is hardly worth receiving a Michelin star, but in this recipe timing was key to its success. It makes me feel like I am taking part in Ready Steady Cook, since we never really know what type of vegetables we will be receiving. So my idea was to add everything together and roast it in the oven… well, it sounds simple enough, but add the spinach with the beetroot and sweet potato, and you’ll end up with a black crispy leaves with uncooked beet. Preparation and timing was crucial. It felt like I was busy defusing a bomb, but the results were fantastic! Dot with the cubed butter and cover the roasting pan with foil. Brush with the olive oil and sprinkle over the salt, pepper and sugar. 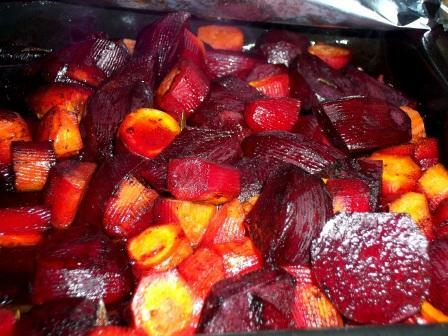 Mix in the sweet potato and onion with the beetroot and carrots. Put the roasting tray back in the oven for a further 25 minutes. 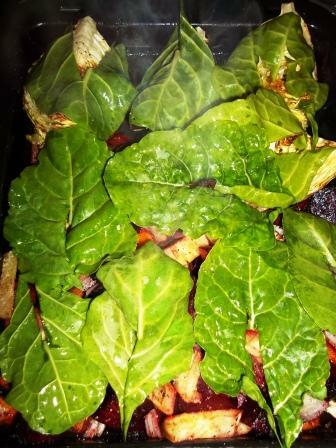 Place the spinach on top of the vegetables and roast for 3 minutes on a side. 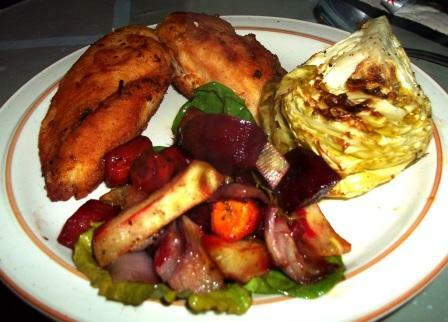 I dished the roasted vegetables on the bed of spinach with the cabbage wedge on the side with crispy fried chicken breasts. 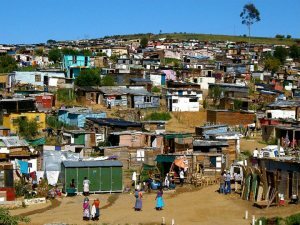 Since I am based in the Helderberg, between Stellenbosch and Somerset West; I often wondered what it is that makes this wine growing area so unique. Is it the climate, the soil type, the location? The answer is yes to all of the above. 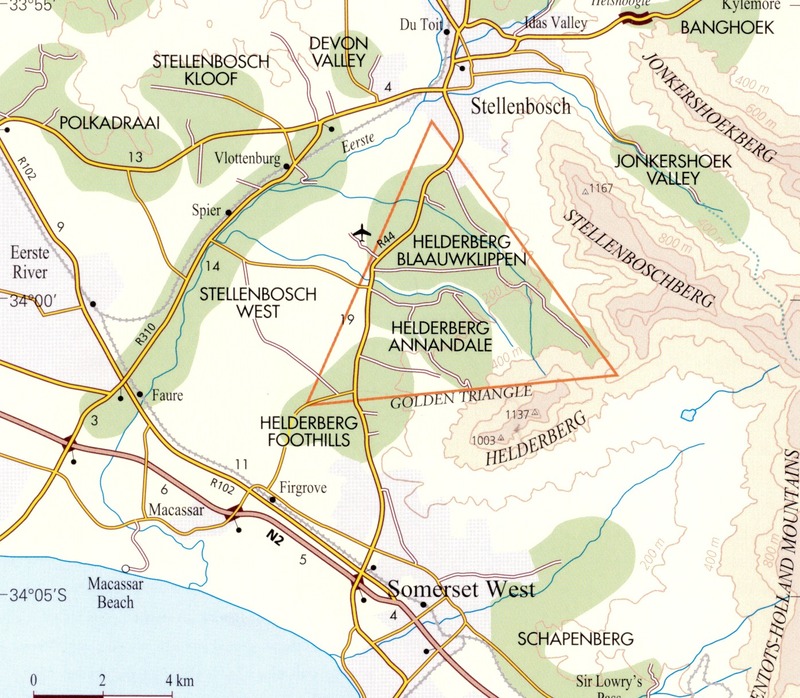 The Helderberg wine growing area stretches from Somerset West to the edge of Stellenbosch and in this area lies the Golden Triangle, a top wine growing area that stretches from the foothills of the Helderberg to the edge of the Stellenbosch Mountains. So what makes this such a top wine growing area? The secret lies in the diversity of the soil types as well as the growing climate. Elevation ranges from 60 to 400 meters above sea level and the soil types found in the area includes granite, shale, sandstone and clay. The combination of these different soils have both great water holding capacity as well as drainage; making it possible for producers to administer a dry-land viticulture method (when no irrigation is used) or micro-irrigation (e.g. drip or trickle irrigation). Since this growing area is situated close to the False Bay the vines benefit from the cooling ocean breezes, producing smaller berries with optimum ripeness, concentration of fruit flavour, lively acidity in white wines and colour and smooth tannins in red wines. 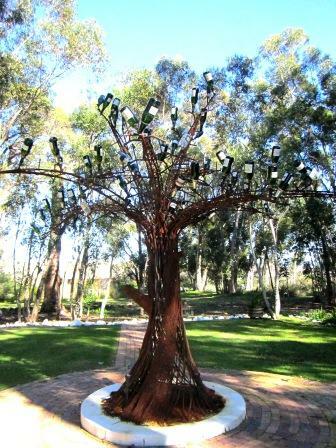 According to The New York Times 2008 60% of South Africa’s top wines came from the Golden Triangle. Next time you are in the Stellenbosch area, be sure to explore the fantastic wines from this region. Cheers! Want to learn more about growing areas and different types of terroir?